HYT has decided to impress us once again with a new version of one of their beautiful watches, called the HYT Skull Maori. The watch features traditional decorative techniques, which is actually a first for the brand, and if the skull looks familiar to you it’s because it’s the same one featured on previous models in the HYT Skull collection. 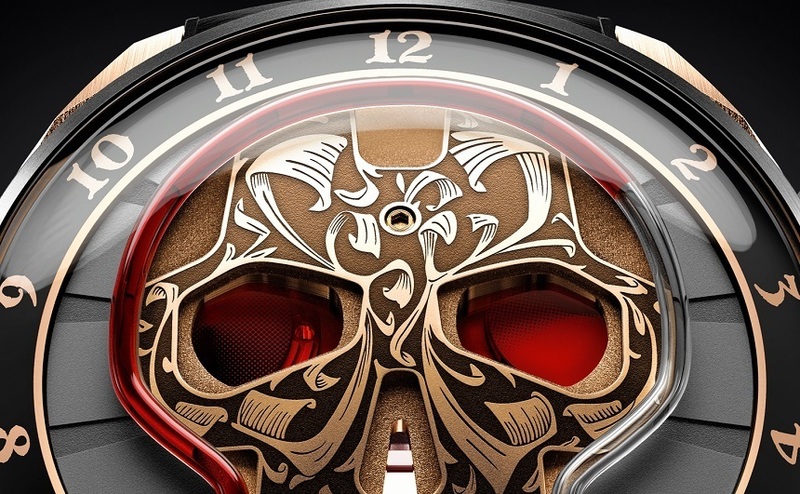 This time the skull has been brought to life by intricate engraving in Maori style, but there are more impressive features to be talking about: sand from an exclusive beach in the composition of a bezel, a wind-up generator that allows the mechanical piece to benefit from electricity as well as an exquisite case made out of cigar leaves and Polyepoxide. The HYT Skull Maori features a design that’s obviously inspired by the ancient culture with an enormous golden skull dominating the face and featuring a special engraving that gives the watch a unique personality. 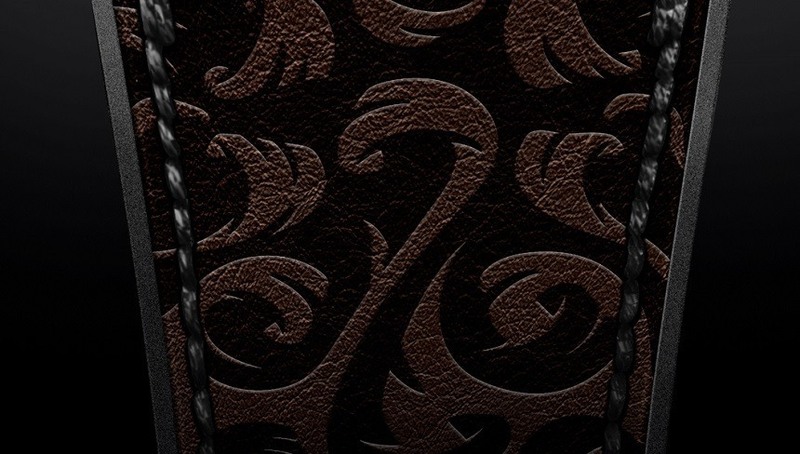 The same Maori-inspired design is continued on the stap of this watch, beautifully complementing its dial. 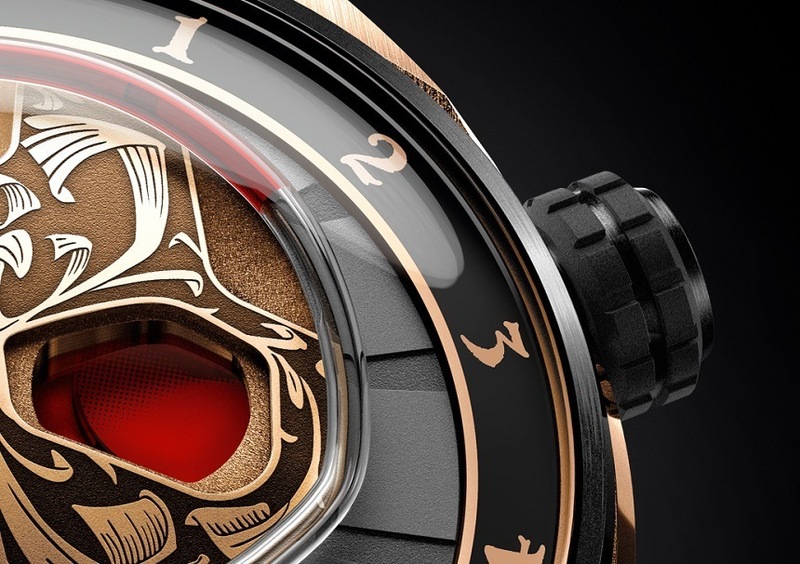 Priced at US $120,000, the HYT Skull Maori is a limited edition watch, with only 15 pieces to be produced. Meanwhile check other cool men’s watches: 50 Best Black Men’s Watches. Why don’t you pay a Maori designer to actually design your Moko design instead of using someone who obviously knows nothing about Moko and produced something which bears no resemblance to Moko?